Her only wish on her 16th birthday quickly turns into a nightmare. Haley, an adopted Chinese American girl wants to find out about her biological family in China. In searching for her loved ones, she uncovers a 16-year old secret. 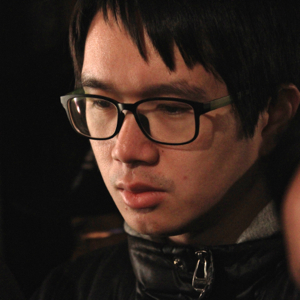 Originally from Taiwan, Yung-Jen Yang is a narrative filmmaker, with a love for making horror and thriller films. After receiving his Bachelors of Art from Shih Hsin University in Taipei, he worked in many facets of productions, before coming to America to pursue his MFA from City College. He has traveled all around the United States and Mexico embracing new cultures and people since being in school. He looks forward to making feature films!!! This entry was posted in 2014, Uncategorized on May 5, 2014 by Yung-Jen Yang.